A Bosnian Serb referendum challenging the authority of the country’s Constitutional Court represents “direct political pressure” aimed at undermining the state-level institution, its president told BIRN. 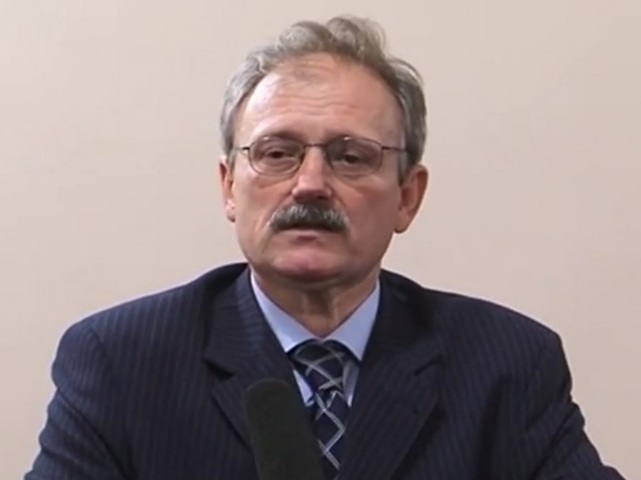 The president of the Constitutional Court of Bosnia and Herzegovina, Mirsad Ceman, told BIRN in an interview that the referendum which is due to be held in Bosnia’s Serb-dominated entity Republika Srpska next month is a politically-motivated attempt to obstruct its authority through “non-legal means”. “The use of these non-legal means, which were created through legal decisions such as the declaration and implementation of a referendum, is clear and direct political pressure on the Constitutional Court,” said Ceman. Despite repeated warnings from Western and Bosniak officials, the Republika Srpska authorities are determined to hold the referendum on September 25. They are seeking public backing for the entity’s annual Day of Republika Srpska to continue to be celebrated on January 9, despite the fact that it was ruled discriminatory and therefore unconstitutional by the state-level Constitutional Court. The Day of Republika Srpska marks the date in 1992 on which Bosnian Serbs established the entity just before the outbreak of the war. Bosnia’s international overseer, the Office of the High Representative, has warned that the referendum would be a “blow against the Dayton peace accord [which ended the war]”, while the Bosniak member of the tripartite Bosnian presidency, Bakir Izetbegovic, has said that it is a “test-run for a future referendum” on the possible secession of Republika Srpska. The Constitutional Court ruled at the end of last year that by celebrating January 9 – which is also a Serbian Orthodox saint’s day – as a public holiday, Republika Srpska is discriminating against people of other ethnic and religious backgrounds who live in the entity. The court gave the Republika Srpska National Assembly six months to bring the entity’s law into line with the ruling. Ceman told BIRN that the Bosnian Serb assembly has also appealed against the ruling, but that it hasn’t yet been reviewed. “The Republika Srpska People’s Assembly has filed a motion to reconsider the decision which found that marking January 9 as the Day of Republika Srpska is not in line with the constitution of Bosnia and Herzegovina. This request is still pending because it was filed at the very end of the six-month deadline,” said Ceman. He said the appeal should be discussed at the court’s next session in September. Ceman also objects to the criticism that Republika Srpska officials have directed at the international judges working at the Constitutional Court. The court’s judging panel is made up of three foreign judges, plus two Bosniaks, two Croats and two Serbian judges. The vote on the Day of Republika Srpska holiday split the court along ethnic lines; the decision to declare it unconstitutional was backed by the three international and two Bosniak judges, who outvoted the two Croat and two Serb judges. Republika Srpska’s political leaders have also asked for changes to the law to limit the Constitutional Court’s mandate and remove the foreign judges. Ceman said the three foreigners were working “responsibly and professionally”. “I am talking about all those who were part of the quota of three international judges at the Constitutional Court, then and now, and they come from different countries,” he said. “They are experts and people with integrity. They are useful and they help us; this was especially important in the beginning, when we were understanding the ‘Convention Law’ [European Convention on Human Rights]. Their presence, regardless of objections, has helped foster a feeling of objectivity and unbiased work,” he added. He also insisted that claims that the international judges always backed the Bosniak judges at the court were completely false. “These statements attempt to break down the credibility of the international and domestic judges of the Constitutional Court as the highest judicial instance in the country,” he argued. “Even a casual review of the decisions regarding sensitive issues in the country shows there are a significant number of decisions in which the so-called ‘international’ judges and Bosniak judges – as some in Republika Srpska tendentiously call us – had divided opinions,” he said. Ceman said that the failure to implement the court’s decision on the Day of Republika Srpska was only one of a number of such incidents, each of which represents a “blow” to the country’s constitutional order. According to a recent review of all the court’s decisions, 91 were not implemented within the allocated time and 23 were not implemented at all, Ceman explained. However, he noted that since 1997, the court has reached over 25,000 decisions which resolved over 50,000 cases, so the situation is not as critical as some have claimed. “This gives us a different picture when discussing relations towards the decisions of this court than the constant tendentious repetition of false data that 91 decisions were never implemented. It’s true however, that this data is flexible, because deadlines start and finish all the time. For the most part, I would say we have a passable process,” said Ceman. The problem, according to Ceman, comes when institutions fail to implement a decision, because the Constitutional Court lacks any enforcement mechanisms. The only solution is to report the failure to the prosecution which can decide to open an investigation. “The Constitutional Court last year and this year initiated and held meetings with representatives of state organs and institutions so they would be more engaged in creating a general climate with an affirmative culture of respecting and implementing the decisions of all judicial institutions,” Ceman said. The judiciary in Bosnia and Herzegovina has also been criticised for human rights violations, but Ceman insisted that the situation was not as bad as some of its critics claim, although there are problems.